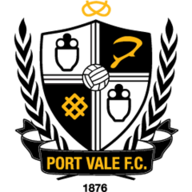 Wigan cruised to a routine 3-0 victory at home to 10-man Port Vale on Saturday to underline their Sky Bet League 1 promotion credentials. The home side were ahead inside seven minutes when Yanic Wildschut's cross was deflected in by Vale defender Richard Duffy, with Latics striker Will Grigg claiming he got the final touch. Grigg was definitely the scorer of number two, having been brought down in the area for a clear foul that saw Ryan McGivern given his marching orders. The Northern Ireland international picked himself up and dispatched the penalty in off the underside of the bar. Vale's task from then on was always damage limitation and they conceded only one more, with 21 minutes to go. Grigg it was who found himself unmarked in the box, and his cool finish was too good for Vale goalkeeper Jak Alnwick. 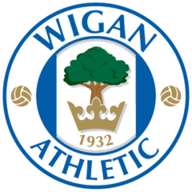 It could have been even worse for the visitors with Haris Vuckic, Max Power and substitute Ryan Colclough all having decent efforts to add to the scoring for Wigan in a one-sided encounter.